EARTH DAY serves to remind us just how incredible and unique our home planet is. From her atmosphere to her rivers, Earth has everything we need to survive. If we want to make sure future generations can thrive in Earth’s beauty, we must actively protect natural resources, care for other species and always choose to invest in learning more. Frankly, Earth doesn’t need us, but we need Earth, so let’s show her our love (and not just on Earth Day)! Earlier this month, I launched a social media campaign called #MotivateMarch! My goal is to show how inspiring and exciting science can be, and to share some of my personal passions. Highlights focus on atmospheric, planetary, or earth science events, facts and missions. I hope you’ll join along! Head over to my new Facebook page if you haven’t already and follow me on twitter for #MotivateMarch posts. Thank you for the enthusiasm already – It’s fantastic interacting with more science, tech and engineering explorers! 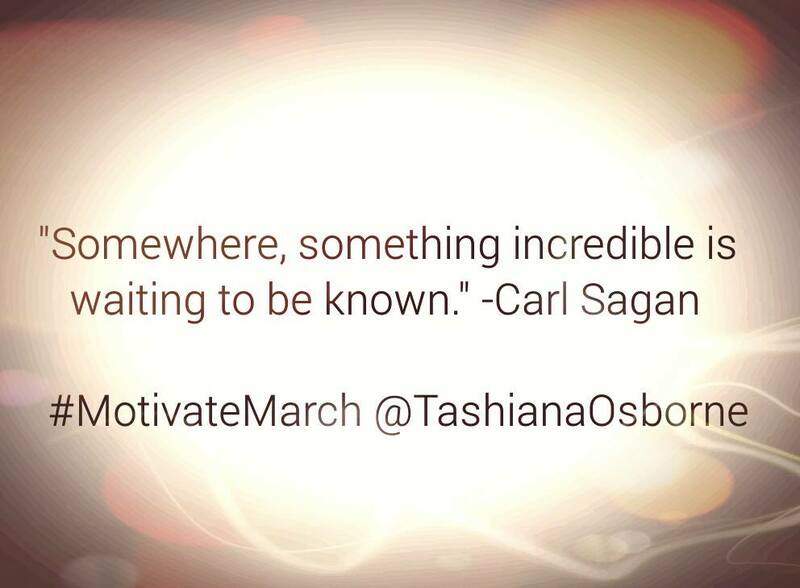 #MotivateMarch @TashianaOsborne to follow along! For the past couple of months, I’ve been working on NSF research with Dr. Brian Billings that I’m very excited to share with you! 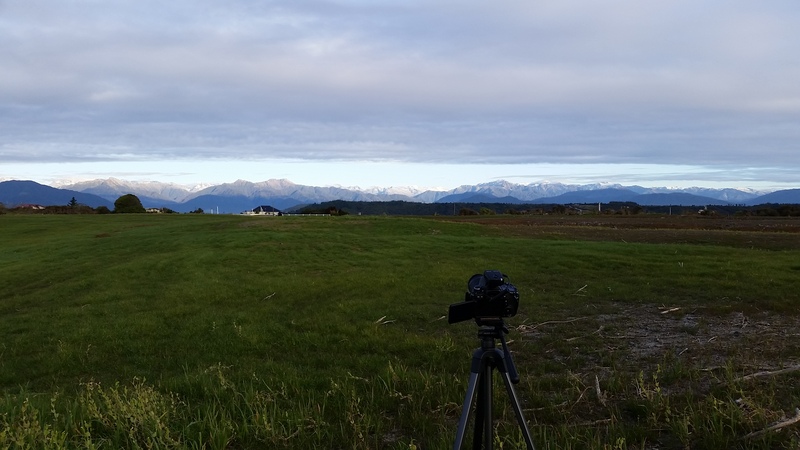 Thousands of images of incredible New Zealand clouds Brian and I captured are now being used in our cloud stereo photogrammetry research. This work is tied with the DEEPWAVE Mission (several research centers are involved, including NCAR‘s Earth Observing Lab, Naval Research Lab-NRL, and New Zealand’s NIWA). DEEPWAVE aims to better understand the dynamics of internal atmospheric gravity waves; how moisture (that condenses into clouds) affects the grav-waves and how the waves affect the atmosphere and climate over a longer time frame (they have a big effect on the atmosphere’s momentum budget). THE PROCESS: I shot with one camera (we cleverly call “Stratus”), while Brian shot with the other (“Cumulus”) at least 250 m away. We first set the cameras on tripods so that we could see one another in the camera view at that distance, then turned each camera 90 degrees in order to capture images parallel to one another. We tilted the cameras to view as much of the sky as possible. Using synchronized timers, we captured images on a set interval of every 5 or 10 seconds. After each shoot, we saved our images on DVDs and even created time-lapse videos of the beautiful clouds using ImageJ! The main focus with our stereo photogrammetry is to measure the clouds and changes in them, so I’m now using a MATLAB Camera Calibration Toolbox and GPS measurements to perform calculations. Using the triangulation measurements and algorithm results, I can determine how high clouds are and even their distance from mountains or other features to better understand and analyze conditions surrounding each day! If there’s Easterly wind flow, we may see leeside weather phenomena (ex. gravity waves—lenticular “UFO” clouds) because of our location on the West side of mountains. This would make us on the leeside of the mountain flow where all the action is! It was quite an adventure scouting out the best locations for what we’re researching. Many days ran long and late, but I loved it and have learned from it all. All the while, I was fortunate to do field work for NCAR on the DEEPWAVE mission and learn from incredible scientists! I’m now working on stereo photogrammetric analyses for my Senior Thesis. I presented preliminary results at the August AMS Mountain Meteorology Conference in San Diego and will be presenting more about the June 13th case at the American Geophysical Union (AGU) Fall Meeting in San Francisco (December) and the 2015 American Meteorological Society (AMS) Meeting in Phoenix (January)! Check out our field mission here, and find details on our first flight here! @TashianaOsborne for live updates.